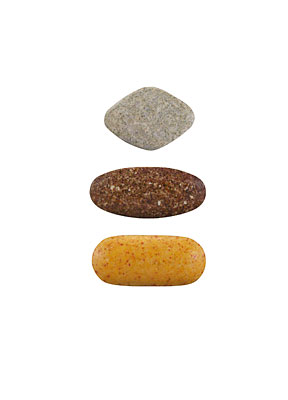 Today we are going to know more about three basic needs in our daily life - Vitamin, Mineral and Nutrient. We always go through name of that things but don't know the basic importance and working of those elements in our day to day life. So, in our today's blog post we are going through basics not the details, so it will be easy to understand by everyone. Vitamin - Vitamin is one of the organic compound, that we need in our daily life in balanced amount, not less or not in over limit. Balance of each kind of Vitamins in our daily diet is much important to maintain healthy lifestyle. This compound is important from beginning of life during the pregnancy, those are important to develop the different organs during pregnancy in the fetus. If any kind of deficiency in any of those vitamins leads to damage of parts during the development of baby. These vitamins we can get in our daily diet by managing healthy diet style and habits, but nowadays its very hard to manage good dietary habits in lifestyle of current generation. So we need supplements for those vitamins which we have deficiency. After the 1930s the research in this field made the supplement of vitamins available in synthetic manner. Till that date the only source was diet of different kind of food. 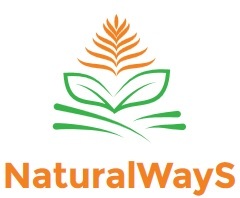 Currently new development of organic way of these supplement also found, it seems costly compare to synthetic product, but good for long run of health. Mineral - Mineral is the another important part of our daily life and health. Balanced diet usually provides required amount of minerals in our day to day life. Minerals are required to make the system properly work in our body, they are the key factor for maintaining the proper working of the system in our body. Like sodium required for proper fluid balance and proper operation of nervous system. Calcium for proper structure and health of bones and the joints for healthy structure maintenance. Nutrient - Nutrients are the main six elements which makes complete functioning of live body and their systems. Which includes the vitamin, minerals and another four substance. Carbohydrates can be grouped into two categories: simple and complex. Simple carbohydrates are sugars whereas complex carbohydrates consist of starch and dietary fibre. Carbohydrate provides about 4 kcal (kcal = kilocalories = Calories) per gram (except for fibre) and is the energy that is used first to fuel muscles and the brain. Soluble fibre (fruits, legumes, nuts, seeds, brown rice, and oat, barley and rice brans) lowers blood cholesterol and helps to control blood sugar levels while providing very little energy. Insoluble fibre (wheat and corn bran, whole-grain breads and cereals, vegetables, fruit skins, nuts) doesn’t provide any calories. It helps to alleviate digestive disorders like constipation or diverticulitis and may help prevent colon cancer. Most calories (55-60%) should come from carbohydrates. Sources of carbohydrates include grain products such as breads, cereals, pasta, and rice as well as fruits and vegetables. Protein from food is broken down into amino acids by the digestive system. These amino acids are then used for building and repairing muscles, red blood cells, hair and other tissues, and for making hormones. Adequate protein intake is also important for a healthy immune system. Because protein is a source of calories (4 kcal per gram), it will be used for energy if not enough carbohydrate is available due to skipped meals, heavy exercise, etc. Main sources of protein are animal products like meat, fish, poultry, milk, cheese and eggs and vegetable sources like legumes (beans, lentils, dried peas, nuts) and seeds. The fat in food includes a mixture of saturated and unsaturated fat. Animal-based foods such as meats and milk products are higher in saturated fat whereas most vegetable oils are higher in unsaturated fat. Compared to carbohydrate and protein, each gram of fat provides more than twice the amount of calories (9 kcal per gram). Nevertheless, dietary fat does play an important role in a healthy diet. Fat maintains skin and hair, cushions vital organs, provides insulation, and is necessary for the production and absorption of certain vitamins and hormones. Nutrition guidelines state that Canadians should include no more than 30% of energy (calories) as fat and no more than 10% of energy as saturated fat. Vitamins help to regulate chemical reactions in the body. 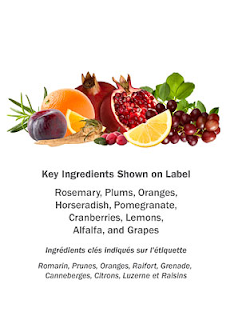 There are 13 vitamins, including vitamins A, B complex, C, D, E, and K. Because most vitamins cannot be made in the body, we must obtain them through the diet. Many people say that they feel more energetic after consuming vitamins, but vitamins are not a source of energy (calories). Vitamins are best consumed through a varied diet rather than as a supplement because there is little chance of taking too high a dose. Minerals are components of foods that are involved in many body functions. For example, calcium and magnesium are important for bone structure, and iron is needed for our red blood cells to transport oxygen. Like vitamins, minerals are not a source of energy and are best obtained through a varied diet rather than supplements. Water is a vital nutrient for good health. Most of our body weight (60-70%) is made up of water. Water helps to control our body temperature, carries nutrients and waste products from our cells, and is needed for our cells to function. It is recommended that adults drink 8 glasses of fluid daily (or more in hot weather or during physical activity). This fluid does not have to be water alone. It can also be obtained from juice, milk, soup, and foods high in water such as fruits and vegetables. Caffeine-containing beverages (coffee, tea, cola) don't count because caffeine is a diuretic, making us lose water. A great plus for water in comparison to the other fluids is that it hydrates our body without extra calories. If we can get all these things naturally by diet and fresh food, than why the need of supplements arise in our daily life. The American Medical Association recommends that all adults take one multivitamin daily. This is true even if you already eat a diet rich in fresh, whole, natural foods, because the foods you consume often don’t supply all the vitamins and minerals you need, at the recommended levels. If you’re going to supplement, why not start with the world’s best multi? 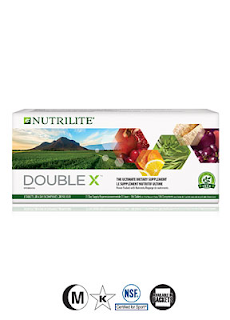 Nutrilite® Double X® Vitamin/Mineral/Phytonutrient. 20 plant concentrates for superb antioxidant power, including tomato, blueberry, broccoli, cranberry, and pomegranate.